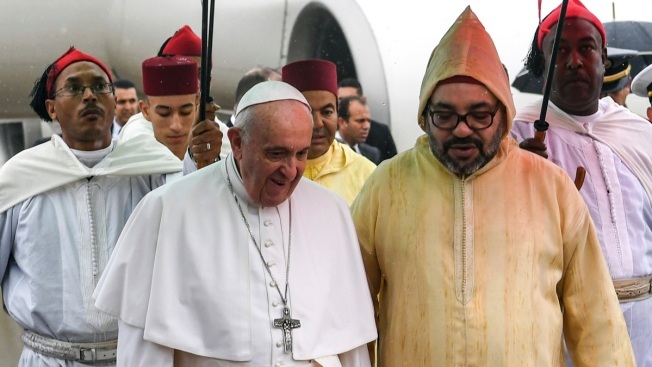 Pope Francis, left, is greeted by Morocco's King Mohammed VI, after disembarking from his plane at Rabat-Sale International Airport near the capital Rabat, Saturday, March 30, 2019. Pope Francis has arrived in Morocco for a trip aimed at highlighting the North African nation's tradition of Christian-Muslim ties, while also letting him show solidarity with migrants at Europe's door and tend to a tiny Catholic flock. Pope Francis sought Sunday to encourage greater fraternity between Christians and Muslims in Morocco, telling his flock that showing the country's Muslim majority they are part of the same human family will help stamp out extremism. On his second and final day in Morocco, Francis told Catholic priests and sisters that even though they are few in number, they shouldn't seek to convert others to Christianity but rather engage in dialogue and charity. "In this way, you will unmask and lay bare every attempt to exploit differences and ignorance in order to sow fear, hatred and conflict," he said. "For we know that fear and hatred, nurtured and manipulated, destabilize our communities and leave them spiritually defenseless." Francis has stressed a message of Christian-Muslim fraternity during his first trip to Morocco, a majority Muslim nation of 36 million. Proselytism is a sensitive topic in religious discourse in the North African nation, even though Christians, Muslims and Jews have coexisted peacefully here for centuries. After reaching out Saturday to Morocco's Sunni majority, Francis turned his attention Sunday to the country's Christian minority, celebrating a Mass for about 10,000 people representing 60 countries, many of them sub-Saharan African migrants and other foreigners. In his homily, delivered in his native Spanish and translated into French, Francis urged them to resist the temptation to sow division and confrontation and instead remember "we are brothers and sisters." "Experience tells us that hatred, division and revenge succeed only in killing our peoples' soul, poisoning our children's hopes, and destroying and sweeping away everything we cherish," Francis told the faithful, who gathered in a sports arena in Rabat. Francis' aim was to highlight the constructive presence of Christians in Moroccan life and how they are part of its human fabric alongside Muslims and people of other faith. He started his day Sunday by visiting a social center run by Catholic religious sisters that serves a poor Muslim community south of the capital, Rabat, with medical, educational and vocational services. The Temara center operates a preschool, treats burn victims, trains women in sewing and provides meals for 150 children a day. Catholic teachings are not taught at the preschool. 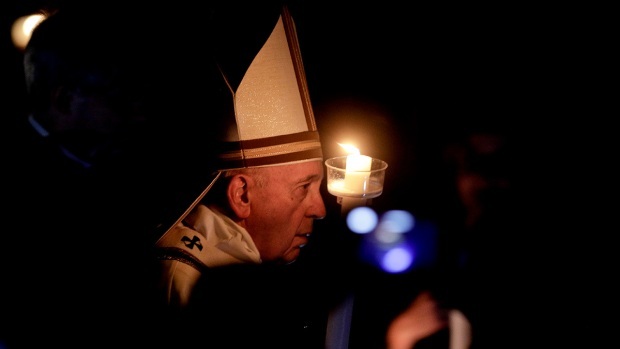 Pope Francis landed in the United Arab Emirates for a brief visit that will culminate with a papal mass on Tuesday. He is the first pope to visit the Arabian Peninsula. "Their teachers are all Muslims and speak in Arabic and they prepare them on Muslim religion," said sister Gloria Carrillero. "We did not come here with the purpose of doing proselytism. We came here just to help." Catholics represent less than 1 percent of Morocco's population and most are foreign-born migrants. Morocco also has up to 6,000 homegrown converts to Christianity who are obliged to practice their faith privately because Morocco prohibits Muslim conversions. These Moroccan converts often celebrate Masses in their homes and hide their religious affiliations for fear of prosecution and arrest. Yet many flocked to Francis' afternoon Mass in a Rabat sports stadium Sunday with the hope that the pope's visit would compel Moroccan authorities to be more tolerant of religious diversity. "With this visit, we want to tell the pope and the Moroccan society that we are proud to be Christians," said Moroccan Christian Adam Rbati, who was attending the Mass with his Christian wife and newborn son. "It might not change much, but it will certainly create the space for future positive change." 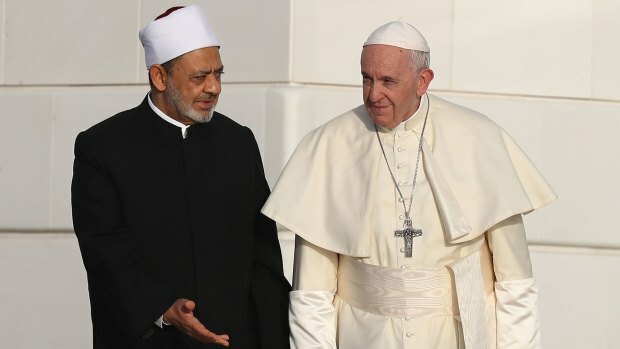 Francis touched on the issue of religious freedom in his opening speech to King Mohammed VI on Saturday, urging Morocco to move beyond just freedom of worship to true respect for an individual's faith. "That is why freedom of conscience and religious freedom — which is not limited to freedom of worship alone, but allows all to live in accordance with their religious convictions — are inseparably linked to human dignity," he said. 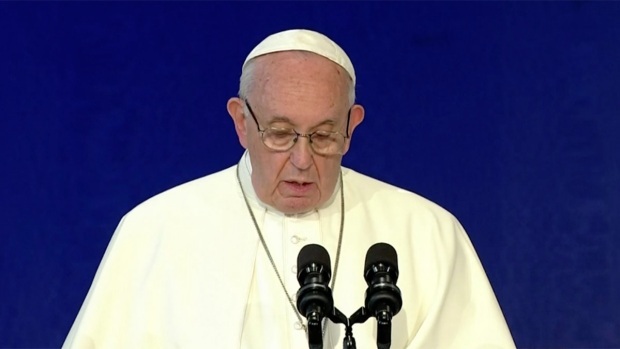 Pope Francis said at the start of a visit to Ireland on Saturday that he shares the outrage of rank-and-file Catholics over the failure of church authorities to punish the "repugnant crimes" of priests who raped and molested children. In a speech to Catholic priests in the city cathedral Sunday, Francis drew applause when he told them they should not proselytize. The church grows, he said, when people are attracted to its message, witness its charity and engage in dialogue as part of a human family. He called for prayer "in the name of this fraternity, torn apart by the policies of extremism and division, by systems of unrestrained profit or by hateful ideological tendencies, which manipulate the actions and the future of men and women." Among the priests on the altar to greet the pope was the Rev. Jean-Pierre Schumacher, the last survivor of the Tibhirine monks. Schumacher and his brother monks had decided to stay in their monastery in Tibhirine, Algeria, alongside locals during the country's civil war, despite the threats against them. Seven monks were abducted and beheaded in 1996, their skulls discovered nearby. A radical group was blamed for their beheadings, but some observers have suggested that Algeria's military was responsible. Francis kissed Schumacher's hand in a sign of respect, and the stooped 95-year-old priest reciprocated. Last year, the seven monks and 12 other religious sisters and Catholics killed during Algeria's civil war were beatified in Algiers. 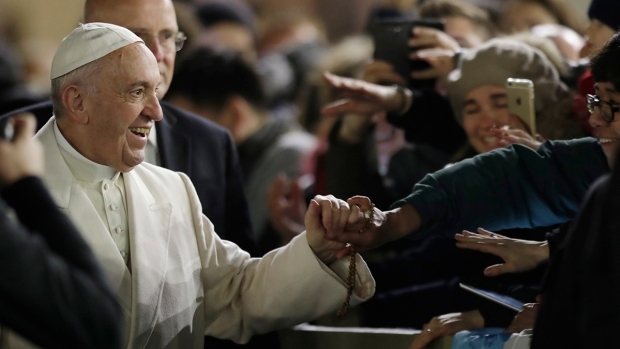 Pope Francis reportedly told the president of the Episcopal Commission for the Amazon in March 2017 that he would allow the Latin Church bishops in the Amazon region at a 2019 synod to debate whether they should ordain married men to the priesthood. The Catholic Church ordains married men in the 23 Eastern Catholic Churches. The Latin Church headed by the Bishop of Rome only ordains celibate men to the priesthood. However, neither the Catholic nor the Orthodox Churches allow priests to marry after ordination. NBC10's Tim Furlong reports.